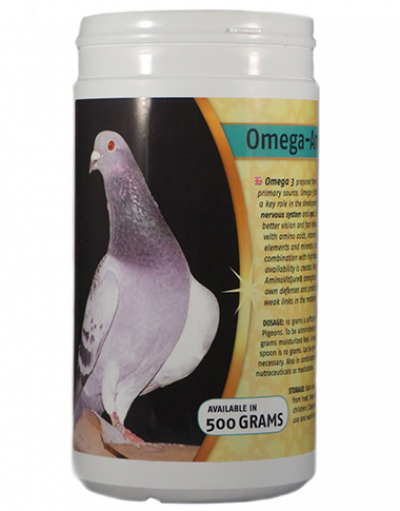 A very powerful supplement based on proteins and fatty acids. after Illness or long-term medication . Due to the right balance between well digestible fat and protein resources and vitamin E , the metabolism and muscle power are strongly enhanced. And thus the Capability to fly. 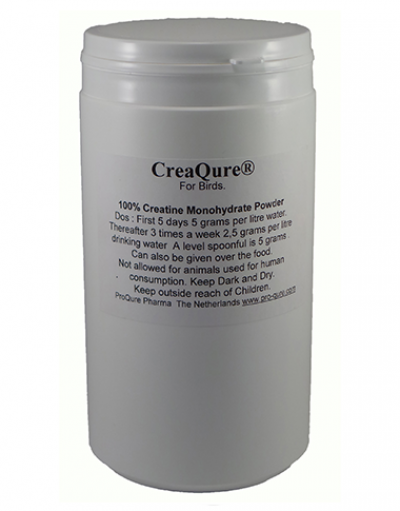 Indications: Muscle-development for flying power and restore of condition after Illness or long-term medication. Due to the right balance between well digestible fat and protein resources and vitamin E, the metabolism and muscle power are strongly enhanced. And thus the Capability to fly. 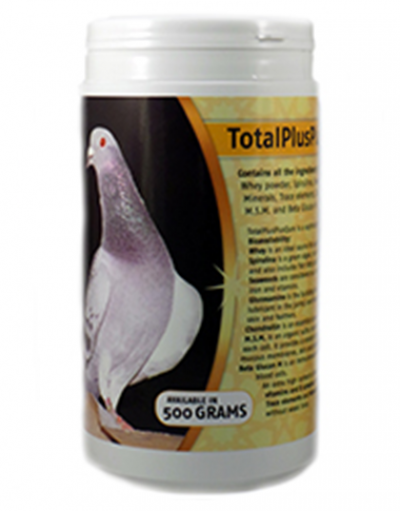 Dosage: 1 heaped measuring spoon (10 grams) over some moisturized feed per day is sufficient for about 10 Pigeons. This can be administered as long as needed for a good condition. Combination with other medication is no problem. Condition mix for Racing Pigeons. Storage: Dark and Dry, protected from Heat. Keep out of reach of Children. Close packing well after use.